Our City, Our Town article number 900 coincides with the launch of my new book Secret Cork. It is over twenty years since I gave my first walking tour across the flat of Cork City and eighteen years since I began writing my weekly column series Our City, Our Town in the Cork Independent. Both have given me much joy and I have really enjoyed researching and promoting Cork’s story. It is a great story to research and to tell. One cannot but be pulled into the multitudes of narratives, which have framed Ireland’s southern capital. For all the tours and for all the columns and themes though, I still seek to figure out what makes the character of Cork tick. I still read between the lines of historic documents and archives. I get excited by a nugget of information, which completes a historical puzzle I might have started years ago. I have sat in the library pouring over a book or old newspaper on many an occasion trying to figure out where a piece of information sits in my researches. I still look up at the architectural fabric of the city to seek new discoveries, hidden treasures and new secrets. I encourage people on my tours to look up and around and always they see something that I have not seen. I am still no wiser in teasing out all of Cork’s biggest secrets. But I would like to pitch that it’s biggest secret is itself, a charming urban landscape, whose greatest secrets have not been told and fully explored. We all become blind to our home place and its stories. We walk streets, which become routine spaces – spaces, which we take for granted – but all have been crafted, assembled and storified by past residents. It is only when we stand still and look around can we hear the voices of the past and its secrets being told. I have articulated over the years that there is a power of place – that the concept of place matters. 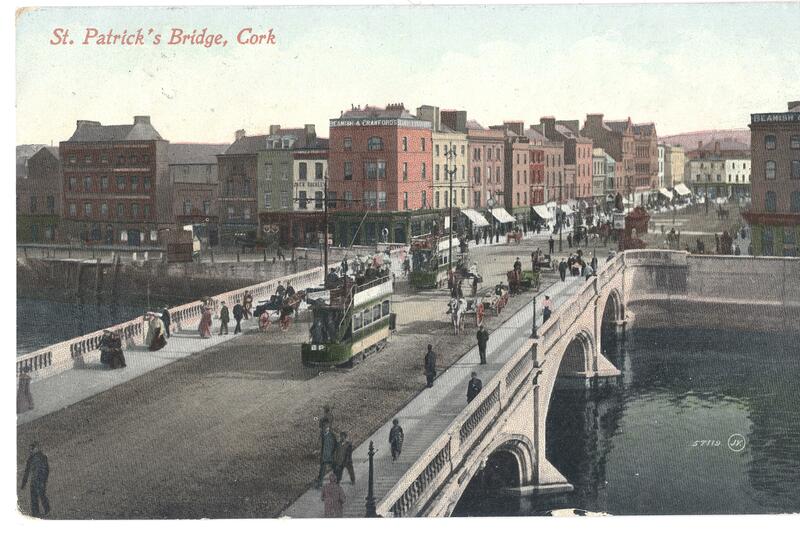 Cork is a place of tradition, continuity, change and legacy. It is a place of direction and experiment by people, of ambition and determination, experiences and learning, of ingenuity and innovation and a place of nostalgia and memory. Cork’s urban landscape is filled with messages about the past – from positive to negative. That beyond the physical surfaces of a city such as Cork, there is a soulful and evocative character etched across the flat of the city, the estuary of the river Lee and surrounding valleysides. Place matters in Cork. Within this topographical frame is a heritage – physical and spiritual to a degree – that needs to be minded, cherished and nourished. Cork’s place and story has been carved over many centuries and all those legacies can be found in its narrow streets and laneways and in its built environment. was built by a combination of native and outside influences, its ever-changing townscape and society shaped by different cultures since its origin as a monastic settlement. Cork possesses a unique character, derived from a combination of its plan, topography, built fabric and location. Cork is unique among other Irish cities in that it alone has experienced all phases of Irish urban development, from c.AD600 to the present day. The settlement at Cork began as a monastic centre in the seventh century, founded by St FinBarre. Legacies echo from being an old ancient port city where Scandinavian Vikings plied the waters 1,000 years ago – their timber boats beaching on a series of marshy islands – and the wood from the same boats forming the first foundations of houses and defences. We will never know and will always speculate upon their raison d’être to construct such a settlement upon a wetland. Themes of survival, living on the edge, ambition, innovation, branding and internationalisation are etched across the narratives of much of Cork’s built heritage and are amongst my favourite topics to research. Indeed, I fully believe that these are key narratives that Cork needs to break the silence on more and this is a book constructed on those themes. Secret Cork, my 20th book, is part of my own campaign over the years to promote Cork. It is a companion volume to Cork City Centre Tour (2016) and contains sites that I have not had a chance to research and write about in any great detail over the years. Secret Cork takes the viewer on a walking trail of over fifty sites. It starts in the flood plains of the Lee Fields looking at green fields, which once hosted an Industrial and Agricultural fair, a series of Grand Prix’s, and open-air baths. It then rambles to hidden holy wells, the city’s sculpture park through the lens of Cork’s revolutionary period, onwards to hidden graveyards, dusty library corridors, gazing under old canal culverts, across historic bridges to railway tunnels. Secret Cork is all about showcasing these sites and revealing the city’s lesser-known past and atmospheric urban character. 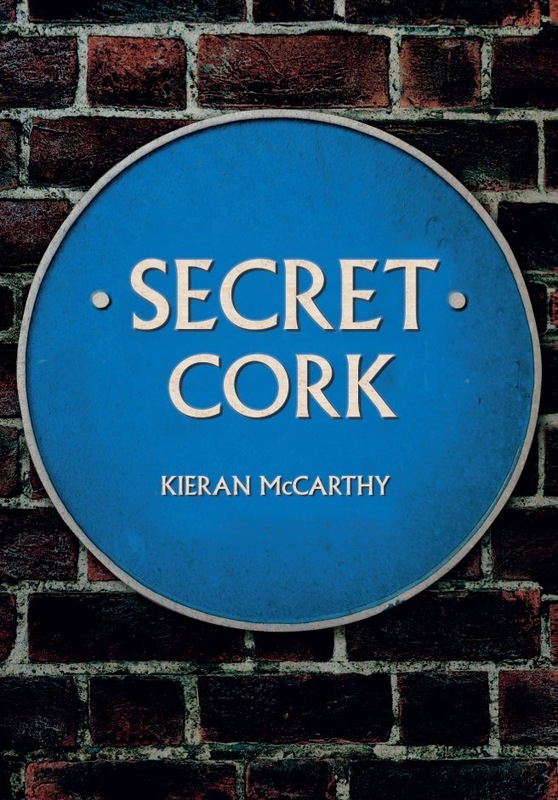 Secret Cork is available from Cork bookshops and from www.amberley-books.com; previous publications are listed on www.corkheritage.ie. Previous columns are also available here.